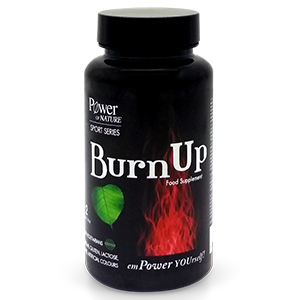 Active ingredients per 2 capsules: 166mg L-carnitine, 83mg CLA, 33mg caffeine, 9mg niacin (56% D.R.I. *), 5mg capsicum extract Capsimax™ (min. 2% capsaicinoids), 1mg vitamin B6 (71% D.R.I.*). Ingredients: L-carnitine L-tartrate, capsule shell (HMPC), CLA (conjugated linoleic acid) powder (milk), guarana extract (Paullinia cupana) (sulphur dioxide / sulphites), green tea leaves dry extract (Camellia sinensis), microcrystalline cellulose, niacin (nicotinamide), vitamin B6 (pyridoxine hydrochloride), Capsimax™ capsicum extract (Capsicum annuum), magnesium stearate. Adults: Everyday take 2 capsules after meal, as a food supplement or take as directed by your doctor.